The balance of the pool water is determined on the basis of simultaneous measurement of temperature, pH, calcium hardness and total alkalinity. Calculation of the water balance gives an idea of whether the pool water is aggressive or whether it will cause limescale deposits. irritation of the eyes and mucous membranes, as well as attacking the mechanical equipment of the pool. See the table below for the factor for each parameter in the formula. 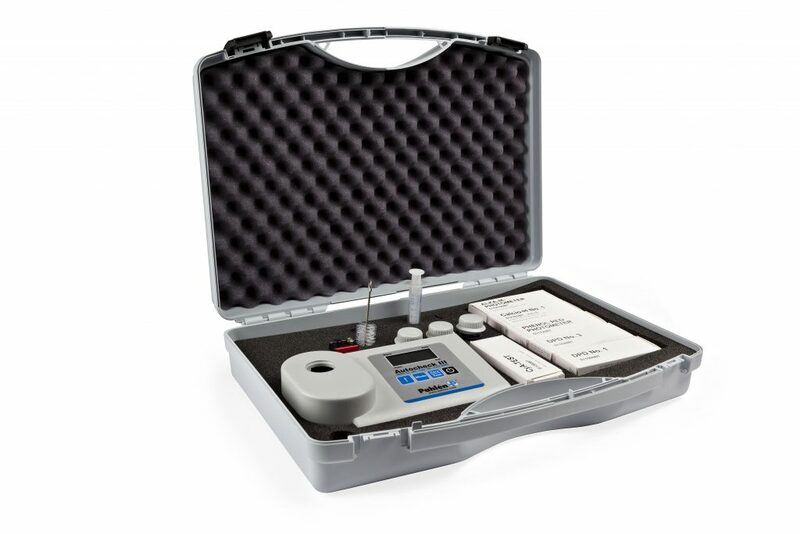 We recommend the Autocheck III photometric test kit for determining the water balance. This is in order to obtain an exact value for each parameter in the formula.